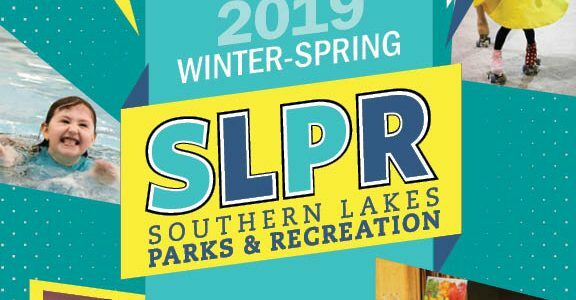 Southern Lakes Parks & Recreation > SLPR News > The Winter-Spring Season is OPEN! The Winter-Spring Season at SLPR is now open for registration! We are very excited to start the Winter-Spring season. Many of our classes do fill very quickly. Some of our classes also do have a class minimum. To ensure your favorite classes stay on the schedule, please register early. You can register for a class in a few different ways. Most classes have online registration. Online registration is always open. You may also register in our SLPR office, M-F, 9am to 5pm. Or, you are also able to mail in your registration form and payment to 150 S. Leroy St, Fenton MI 48430. If you are mailing in a registration, we recommend mailing it in very early, as the class could possibly fill before we receive your registration. Looking forward to a WONDERFUL Winter-Spring. As always, stay active and have FUN!